Addressing Facebook Thumbnail Share Post - More precisely Overcoming Thumbnails Blog Articles that Don't Appear When Share to Facebook. This happens when the Facebook search engine fails to retrieve data from the page when blog articles are shared with Facebook and this is indeed quite disturbing because even if the dimensions of the image displayed are very small, they are only sized 90x90 pixels. 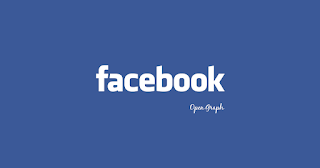 Now that's why here I will provide a solution that is by adding a meta tag Facebook Open Graph on the blog. Note : Before editing the template it's good for you to backup it first. CONTENT OF ALTERNATIVE DESCRIPTION HERE : An alternative description will appear if the post is not given a description. CODE-ADMIN : Fill in the profile code or code Facebook fan page. Make sure the uploaded image has a dimension of not less than 600 × 315 pixels, and if it's lacking then Facebook will resize the image to 90x90 pixels. It's good to use images with dimensions of 1200 × 630 pixels, 800 × 420 pixels, and 600 × 315 pixels. That's the easy way Overcoming Thumbnails Share Post Facebook that Doesn't Appear on Facebook, if there is a deficiency, please add my friend via the comments column. thank you.